It’s one thing to see styles walk down the runway or sit on shelves of retailers, and another to actually see them on the streets. I don’t think a designer has truly made a mark for the season until their designs are actually purchased and worn. In these short “vidisodes”, the tristinstyling video team will be hitting the streets to feature current trends that real people are wearing and where to get it all. I’m a huge fan of Raquel Allegra’s distressed pieces. When she was unable to find what she wanted at thrift shops, she shopped L.A. county jail and found t-shirts that were worn in just as she needed them to be. That’s right, all her pieces are made of t-shirts. Raquel distresses each creation by hand and turns each incarcerated t-shirt into a free flowing beautiful piece that drapes wonderfully over any outfit. My favorite piece, the Shredded Caftan (pictured left) is retailing for $1,190. With other pieces like the ones seen in the screen shot below ranging from $198 – $590. Thank goodness for Camille’s “Shredded tee tutorial” on Youtube below (scroll to the bottom of this blog entry to watch it)! Ask tristinstyling: How do I customize a zip-up hoodie? I like how you turned an XL hoodie into a perfectly tailored one in that one blog entry a few weeks ago! Can you make a video on how to customize a hoodie? I’m a beginner so the easier the better. In collaboration with Blacklava.net, I put together a short video on how to customize a hoodie using their XL JUSTICE hoodie. For this project to work, you need to make sure that your hoodie fits with at least an inch or two of slack in the waist on both sides AFTER going through the washer and dryer. Aisde from a sewing machine and the zip up hoodie, you will also need a few materials to make your pattern: pins, scissors, something to write with, measuring tape, masking or painters tape, and gift wrap. 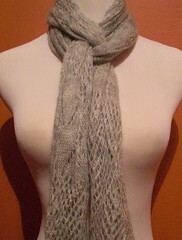 Ask tristinstyling: How do I tie a winter scarf? I was wondering if you could give me some tips on cooler ways to tie a scarf. I’m tired of always doing the slip knot and boring wrap around. I’d also like to know where I can get some for cheap. It’s getting close to the end of winter and you’re tired of not only wearing the same scarf with every outfit but have found that the same old scarf tricks are boring you. When it comes to shopping for more winter scarves this late in the season, I suggest hitting thrift stores and clearance racks while retailers are weeding out winter merchandise to make way for Spring. Yay for boots! take a look at the Fall ’08 boot collection from Free People. If you know me, you know I love boots and that I’d be wearing them year round if it weren’t for the sunshine in the summertime. A good pair of boots can turn any boring outfit into an hot one. If you don’t want to break the bank on a new pair though, worn in and loved is the new black so don’t worry if secondhand or thrift is the route you choose to shop. Take a look at my top 4 picks (left) and this neat video on how Free People “conditioned” new boots to look old and worn out. Free People: Run Down on Boots Have you ever seen some awesome beat up boots in our catalog? Let us show you how we make ours look busted up and broken in. It’s easy and fun! Ask tristinstyling: Are the FitFlops a good fit or just another flop? Are the FitFlops a good fit or just another flop? Now we all know that flip flops are not good for your feet in general but for only about fifty bucks a pop, the “FitFlop” boasts better posture and toned legs just from walking around in them (pictured left). I haven’t tried them out myself but with all the hype, I almost put in an order for a pair at FootSmart.com after breezing through over 250 4-5 star reviews from consumers and an article by AOL stylelist, Carly Milne. As one of Oprah’s top summer picks and stores like Victoria’s Secret and Bath & Body Works on the FitFlop boat, news has it that over a million pairs have flown off the shelves already! As reported in the WBAL video, Dr. John Campbell from Mercy Medical Center believes that the sandals MAY give your leg muscles more conditioning BUT are not suggested for running or jumping due to the lack of support in the heel. He also believes that the cushioned heel can absorb more shock which can be good for pregnant women. Ritter did a test at 3.5 miles an hour and had the sandal cut in half to see the material inside. Walking at 3.5 miles an hour? Sounds a bit fast to me don’t you think? I say my best bet is to ask my own doctor to see if they are right for me. And I’d imagine that since flip flops are not good for your feet in general anyway, the FitFlops, with the cushioned heel that regular flip flops don’t have, seem to be a better and more stylish alternative. Leaner legs? Maybe… Maybe not. Take a look at WBAL and Bill Ritter’s 20/20 report on YouTube and see if you can make up your mind for yourself. Developed by biomechanists at the Center for Human Performance at London’s Southbank University, FitFlops have been scientifically proven in independent studies to boost overall leg and calf muscle activity as you walk while reducing strain on your feet, knees and back. The secret is the varying density of EVA foam in the midsole that generates a “micro-wobbleboard™” effect to significantly increase muscular tension. The result: your legs work harder than they do in standard sneakers or shoes and you burn more calories. Click here to view the benefits of the FitFlop. Click here to view the anatomy of the FitFlop. Multi-density EVA midsole increases the amount of time muscles are engaged during each step you take by 12%, strengthening core muscles while improving posture. Molded EVA outsole keeps you moving on almost any surface. Leather and cotton / polyester thong upper feels soft and comfortable. 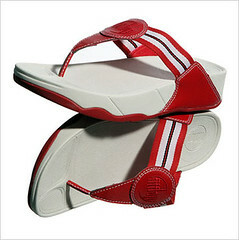 Material Content: leather / cotton polyester upper, multi-density thermoformed EVA insole and midsole, EVA outsole. Care: Wipe off with a damp cloth. Air dry. Ask tristinstyling: What make-up look would work best for me this fall? What make-up look would work best for me this fall? You mentioned that Smashbox just launched their Fall 08′ collection but I don’t know what colors to use. Should I go with wicked or lovely? When it comes to wardrobe and make-up, I feel it’s all about being comfortable with what you are wearing (even if it’s just a shade of eyeshadow or a smudge of lipgloss). Pretty much anything can look good when worn with confidence. Even a perfect match worn without confidence can look silly. Here is a video featuring an introduction by Elle Magazine Beauty Editor, Emily Dougherty, and Davis Factor, that shows how one could get the looks from their Wicked Lovely campaign which Davis breaks down as the wicked and the lovely, good and the bad, the naughty and the nice.